Peter Webb, a Houlton native, served as a teacher and school administrator for more than 25 years until retiring from education in 1985, but he is better known for a long and storied officiating career during which he worked more than 800 regular-season baseball games; more than 100 regular-season softball games and more than 1,500 varsity basketball games. 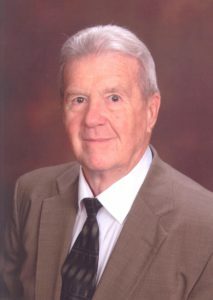 Webb recently exceeded 50 years as a basketball official. He served as the state’s assistant basketball commissioner for 13 years before becoming commissioner, a position he has held for the last 25 years. Webb’s work with the International Association of Approved Basketball Officials has included serving on its executive committee for 13 years — with a stint as president in 2002.